All textual data included in e-mails, surveys, and social media logs are of great value for your company and can increase your revenue if you know how to get the best out of it. Most of the textual information a company has at its disposal is usually presented in form of chunks of data with no clear structure. Here it is where text analytics tools come to help extract meaning from this raw data and, consequently, get valuable business insights. Improving customer service by extracting sentiment and impressions from surveys, contact center logs and social media feedback to enhance both the customer experience and the expected gains. Predicting patient behavior in a medical environment to identify in which events and conditions they would be at risk, enabling medical professionals to react on time. Managing insurance claims to make it easier for insurance companies to settle and pay claims after an accident. Detecting fraud by identifying legal risks looking through all documents, activity, behavior patterns and interactions related to a suspect. In other words, typical tasks concerning text analytics are those related to document search, topic extraction or sentiment identification. Although big companies may have enough resources to build a proper data analytics team responsible of those tasks, they prefer to resort directly to text analytics service providers. 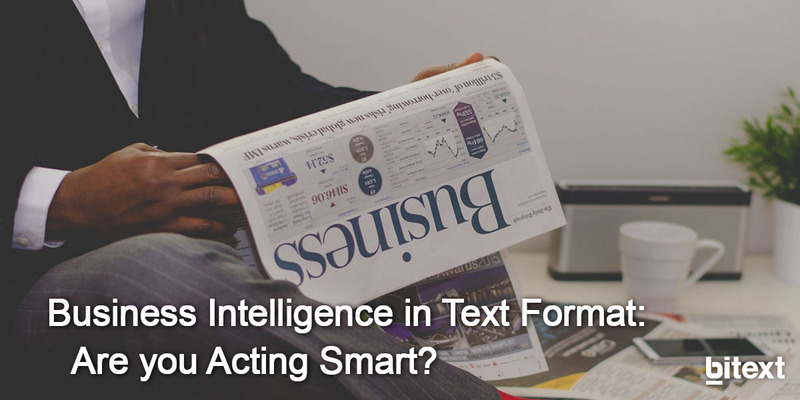 What Gartner here recommends is using a hybrid approach which includes both linguistic and machine learning statistical techniques to process and analyze textual data. Whereas linguistic technologies are often employed for an adequate preparation of the data and models through semantics and grammar, the ML techniques will be used to achieve effective results in less time. In a recent Gartner report ‘Market Guide for Text Analytics’, Bitext has been recognized as a representative vendor for text analytics thanks to its Customer Feedback Analysis tools and NLP Building Packages available in more than 60 languages, including minority languages as Irish Gaelic. Bitext case studies are mainly based on the automotive and hospitality industries, but these technologies can be adapted to any sector and industry through personalized offers and platform-independent data.